Add visual appeal to your lessons! 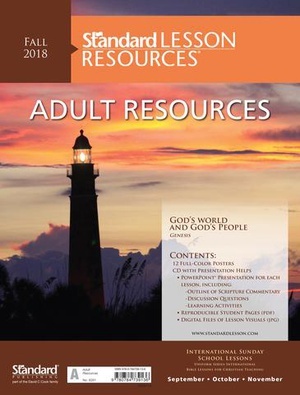 The Adult Resources pack provides 12 full-color posters, including a map and/or chart for the quarter, plus a variety of colorful images to engage the visual learners in every class. PowerPoint® is a trademark registered in the United States Patent and Trademark Office by Microsoft Corporation. Used by permission.